Convert DXF to SWF video files online and for free! 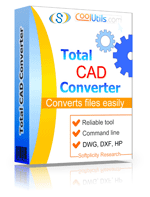 Run a DXF to SWF Online Converter here or buy a batch App for more! Description DXF (Drawing Interchange File Format, Drawing Exchange Format) was intended as a universal extension to boost the compatibility of documents created in AutoCAD. Based on ASCII, it shows better compatibility than DWG. For instance, the Valve Hammer Editor exports 3D data in the DXL format, so that other programs can be used to open them. Over its history, which started in 1982, the DXF format has undergone numerous transformations.